Far away from the media spotlight, a crucial two-day hearing in a landmark court case could set the stage for giving stakeholders in developing nations a powerful tool to hold multinational corporations to account for violating labor and environmental standards. 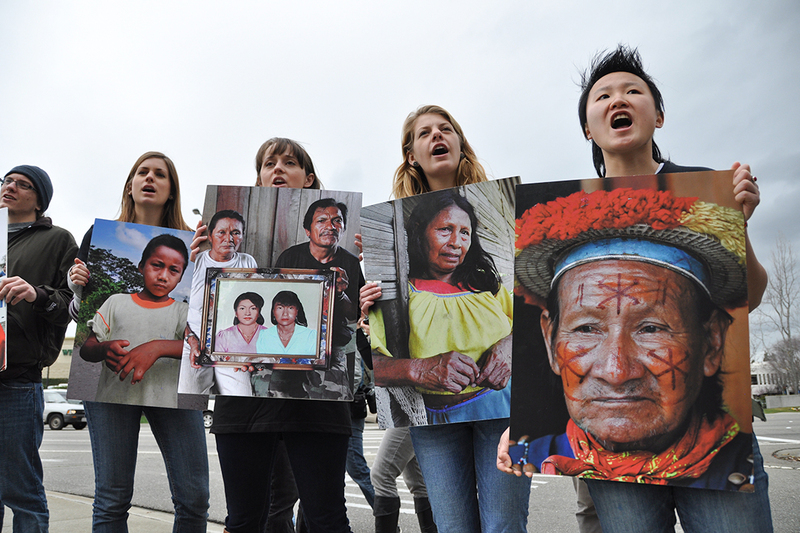 The case, Yaiguaje v. Chevron Corporation, pits indigenous peoples of Ecuador against Chevron. At issue is whether a multi-billion-dollar judgment the plaintiffs won in their home country — because their land was contaminated with toxic materials — can be enforced against Chevron’s Canadian subsidiary. 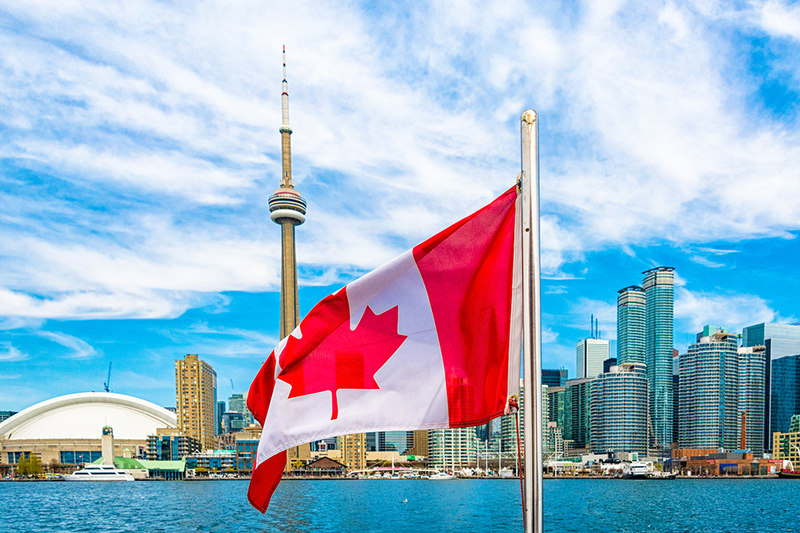 If they prevail in the Ontario Court of Appeal in Toronto, it would allow other groups that feel wronged by multinational corporations to pursue justice across the globe. “Chevron’s April court hearing in Canada is critically important to the well-being of all indigenous and farmer communities in Ecuador who have been harmed by the company’s pollution, as well as to all victims of corporate human rights abuses throughout the world,” said Greenpeace co-founder Rex Weyler. Before its Canadian appearance, the case was heard and adjudicated in Ecuadorian and American courts, as the oil giant has tried to win a war of attrition against plaintiffs with far fewer resources. “We’re going to fight this until hell freezes over, and then we’ll fight it out on the ice,” Chevron said in response to the lawsuit. Against all odds, however, the plaintiffs have persisted. It has taken them decades to get to this point. In fact, Chevron, the current defendant, wasn’t even involved in the dumping of toxic chemicals in Ecuador’s rainforest. (Editor’s note: As explained in greater detail below, the oil company that did business in Ecuador was Texaco, which is now owned by Chevron. For purposes of clarity, however, this article will refer to the defendant as “Chevron” in most cases). Along with the indigenous Ecuadorians, they have won some major victories and suffered crushing defeats in different courts on three continents. Both sides in the dispute have accused each other of various crimes. The legal saga began when Ecuadorian villagers sued the oil giant for contaminating their land in the 1970s and 80s. In 2011 and 2012, Ecuadorian courts found Chevron liable and ultimately required the company to pay $9.5 billion in damages. However, because Texaco has not had operations in Ecuador since 1992, there was no way to enforce the ruling, e.g., by seizing assets. Chevron argued that Texaco settled with Ecuador in 1998, when it paid the country $40 million to clean up the mess that was left behind — an assertion the government disputes. In 2014, the case was brought to the US district court in New York, where federal judge Lewis Kaplan found that Chevron was responsible for environmental damage. But the judge sided with Chevron that the case had been tainted by improper actions taken by the Ecuadorians’ principal lawyer, Steven Donziger, thus excusing the company from paying any damages. Chevron has accused the attorney of paying witnesses and submitting fraudulent evidence. Donziger told WhoWhatWhy these claims are false, and that Chevron has no real evidence for their accusations. Refusing to give up, the affected indigenous people and Donziger took their lawsuit to Canada, where Chevron also holds assets. “The whole paradigm of how [to] do business in the world will shift dramatically,” Donziger told WhoWhatWhy, when asked about the impact of a potential ruling in favor of the indigenous people. He stressed that this case is important not just to them, but to people around the world who are being taken advantage of because of their social status or economic standing within society. The plaintiffs wanted the case to be tried in Canada, in part, because the Ecuadorians did not feel they could get a fair trial in the US. Donziger claims that the New York trial was marred by corruption and fraud. In turn, Chevron has also charged Donziger with various crimes, including extortion, wire fraud, witness tampering, and obstruction of justice. WhoWhatWhy contacted the company about this article but received no answer. At the heart of this case is the environmental devastation left by oil exploration in Ecuador’s orienté region, which has had an enormous negative impact on rainforest communities in the South American country. According to scientific reports, harm has been inflicted on the environment and the overall health and well-being of the people in these drilling areas; this includes but is not limited to polluted water and soil, higher cancer and other fatal-disease rates, and the decimation of cattle herds. “There’s 220,000 pages of record evidence; that evidence includes multiple peer-reviewed, independent, third-party, scientific health evaluations that show very high cancer rates in the region where Chevron operated compared to other parts of Ecuador,” Donziger said. The lawyer added that this record, along with the “60,000 chem sample results that prove presence of chemical toxins that are harmful to either the environment or human health or both” were not admitted into the US hearing of the case. Ecuador’s courts relied on this evidence when it held Chevron liable for any damage found in the regions of Ecuador it had worked in. The Chevron v. Ecuador saga began over 20 years ago when evidence of oil spills and the deteriorating health of communities started to surface. Before Chevron came into the picture, Texaco was drilling for oil in Ecuador. In 1964, Texaco partnered with PetroEcuador, the national oil producer of Ecuador. In 2001 Chevron bought Texaco, ultimately inheriting its assets, liabilities, and problems. After that purchase, indigenous Ecuadorians and their lawyers opened a case on the destruction of the rainforest habitat they called home. Though Chevron was not directly involved in all of the pollution of the Ecuadorian Amazon, the plaintiffs have argued that it was legally responsible for much of the damage that Texaco had caused. In 1992, following a trial in the Ecuadorian Supreme court, Texaco was found guilty of illegally dumping toxic waste and was told to pay reparations. But by that time, Texaco, then owned by Chevron, no longer held any assets in Ecuador. In 2013, Ecuador’s Supreme Court unanimously reaffirmed the ruling. The question then became, how could Chevron be made to fulfill its obligations under the ruling. After losing the case in Ecuador, Chevron decided to bring the matter to New York, where it hoped for a more favorable outcome. During the New York trial, Chevron made claims against Donziger, stating that he was guilty of racketeering and fraud. 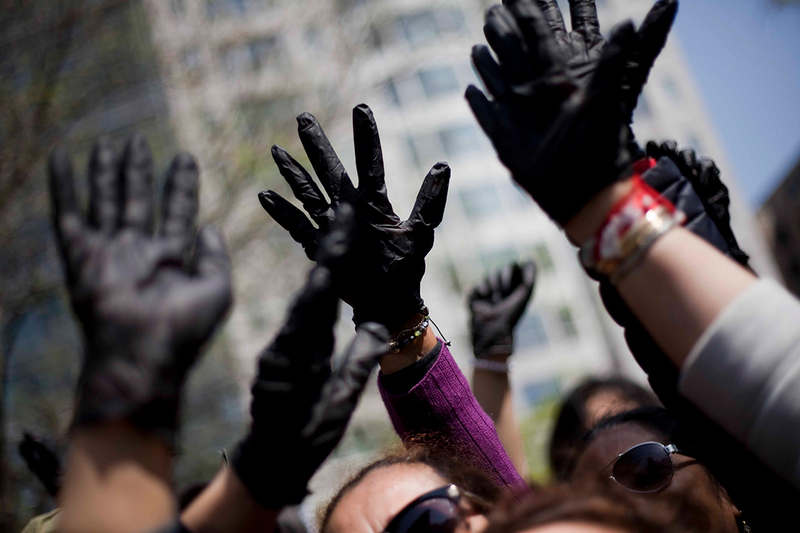 Judge Kaplan handed Chevron a major victory by ruling that the company did not have to pay. The ruling was affirmed by the 2nd US Circuit Court of Appeals. The US Supreme Court then declined to hear the case last year. One of the many issues the Ecuadorians had with the ruling was that Kaplan did not seat a jury to hear the Chevron case, making sure his judgment would be the only one in the case. At the time, Donziger noted that US courts really have no role in this dispute. In addition, he has raised serious doubts about the credibility of Chevron’s star witness in the US case. In 2012, Chevron began working with Ecuadorian judge Albert Guerra, who was made the star of Chevron’s defense. In return, he received payments of over $2 million in cash and benefits, which included moving the entire Guerra family to the United States — with housing, cars, insurance, healthcare, and permanent residence in the United States. However, Guerra later admitted that he had lied about the facts of the case during his testimony in the US trial. If the Canadian court rules in favor of the Ecuadorian villagers, it could provide a legal tool for other groups facing similar ecological devastation. An Ecuadorian win could radically change the way multinational corporations do business and the way they treat local people and the environment, Donziger believes. A favorable verdict would show that oil companies can no longer wreak havoc on delicate ecosystems and their indigenous communities without legal consequences — and it would prove wrong what one Chevron lobbyist has said: that “little countries can’t screw around with big companies like this.” A loss, however, would make it more difficult to “reverse global warming and save the planet,” Donziger said. The Ecuadorian and Canadian National Indigenous Federations have jointly signed an agreement that holds Chevron accountable for the wrongdoing in the Ecuadorian Amazon. “This case is extremely important, not only for the environmental movement, but for every human rights victim of a corporation in the world,” Donziger told WhoWhatWhy. According to media reports, Chevron has been working to sell around $6 billion of its Canadian assets; critics suggest that the company may try to rid itself of the assets in case the Canadian court rules against it. In a legal saga this complicated, it is impossible to predict how a court will rule. However, the plaintiffs have already notched some victories in procedural rulings in Canada. “There can be no doubt that the environmental devastation to the appellants’ lands has severely hampered their ability to earn a livelihood. If we accept the findings that underlie the Ecuadorian judgment — findings that have not yet been undermined in our courts — Texaco Inc. contributed to the appellants’ misfortune,” the court stated last year. It is doubtful that miners in Africa, women sewing dresses in abysmal conditions in Bangladesh, or any number of people whose environment has been destroyed by the actions of multinational corporations across the globe will follow the case in Ontario this week. But there is no doubt that, if the Ecuadorians prevail, it could have a major influence on their lives, and how companies do business abroad. The Court of Appeal found that the lower court correctly decided that the plaintiffs could not pierce the corporate veil and enforce an Ecuadorian judgment against Chevron against Chevron’s seventh-level subsidiary, Chevron Canada. However, while the majority dismissed the appeal and rejected the appellants’ argument that it ought to be entitled to pierce the corporate veil on “just and equitable grounds”, the concurring minority found that such a ground for piercing the corporate veil might very well exist, but that it such a ground was just not available to the appellants on the facts of this case. February 12, 2019 in CORPRO-Fascism, DEEP GREEN: The Commoditization of Planet Eath, Oiligarchy.